Since 1977, we have offered competitive pricing on conduit loan financing. 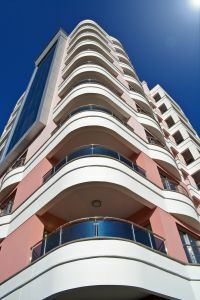 Ocean Pacific Capital provides conduit loan programs for all types of commercial real estate property in the United States. Our access to over 87 conduit lenders allows us to shop for the most competitive conduit loan program. Conduit loans are a permanent, fixed-rate commercial real estate loan structured on a non-recourse basis according to specific conduit loan underwriting and conduit loan documentation standards. These conduit loan standards facilitate the conduit loan's ultimate securitization. We offer conduit loan financing with debt coverage ratios from 1.10 and up. Conduit loan financing as well as commercial real estate financing is available on all types of commercial real estate properties, such as apartments, industrial buildings, hotels, condominiums, self-storage, restaurants, commercial centers, strip centers, subdivisions, office buildings, mixed-use centers, senior housings, golf courses, and lot loans. The minimum loan amount on a conduit loan starts at $500,000 and the maximum loan amount on a conduit loan is $1.3 billion. Since being in business for over 31 years, we have accumulated the commercial experience to help our clients obtain conduit loans. We offer competitive pricing on not just conduit loan financing, but also development financing, subdivision financing as well as industrial loan financing. For a listing of our most recent conduit loan closings, click here. You can learn more about all of our conduit loan programs on our commercial loan page, or call us today for more information on conduit loan interest rates as well as starting your application for a conduit loan today!